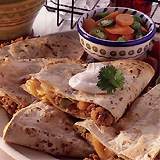 Are you looking for Fast Dinner Recipes & Quick and Easy Dinner Ideas well you came to the right place to help Keep your crowd happy. Look no further we have a growing dinner recipes collection and some easy fast solution for your dinner needs. Do you have a favorite Dinner Recipe or Idea Share a Recipe today!! !